Neurogenic inflammation is a key mechanism contributing to many of the clinical features of fibromyalgia. Neurogenic inflammation refers to the inflammation that is the result of the release of various neuropeptides, chemokines, and cytokines from the peripheral endings of sensory nerves in response to tissue damage or painful stimuli. In the setting of wound healing, neurogenic inflammation helps maintain tissue integrity and facilitate tissue repair.1 However, neurogenic inflammation has also been implicated in the pathophysiology of numerous diseases, including complex regional pain syndrome, migraine, and irritable bowel and bladder syndromes. A 2018 review in Seminars in Immunopathology by Geoffrey Littlejohn, MD, of Monash University, Melbourne, Australia, presents evidence that many of the characteristic symptoms of fibromyalgia result from neurogenic inflammation in both the central nervous system and periphery.2 Common clinical features of fibromyalgia that may be influenced by neurogenic inflammation include cutaneous manifestations, local soft tissue swelling and fluid retention, reticular skin discoloration and livedo reticularis, and increased levels of fibronectin, which is a tissue marker of endothelial activation. 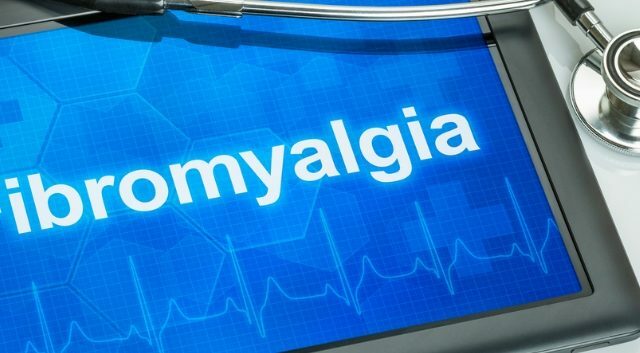 Rheumatology Advisor interviewed Dr Littlejohn for additional clinical perspective on the pathophysiology of fibromyalgia and the role of neurogenic inflammation in the disease process. Rheumatology Advisor: Why has it been so difficult for researchers to determine the pathophysiologic mechanisms of fibromyalgia? Dr Littlejohn: The key clinical features of fibromyalgia that researchers first focused on were widespread pain and abnormal tenderness to gentle pressure. This was originally thought to predominantly involve muscles, so initial research focused on a peripheral muscular origin of the pain and soft-tissue sensitivity. It was later evident that all peripheral tissues, not just muscles, have lowered pain thresholds in fibromyalgia, indicating that a central neurophysiologic abnormality in the pain-related neural systems is the cause for the altered sensitivity. This is linked to the increased sensitivity seen in other sensory systems in fibromyalgia, including increased sensitivity to noise, light, balance, and various chemicals. Thus, as time went on, the focus shifted to identifying abnormal mechanisms in the higher centers involved with pain and other sensory modulation, particularly those in the spinal cord and brain. All of this took time and required better investigative tools, including imaging techniques like functional MRI and sampling of neuroactive biologic factors in peripheral and spinal fluids. There has also been a better awareness of the effects of social and psychological factors on fibromyalgia, particularly those related to the reactivity of the stress response on central pain-related neural systems. Researchers have been careful to identify measurable neurophysiologic factors amongst this complex mix of various contributing factors. All of this has taken time. However, current research in fibromyalgia is aligned with cutting-edge research in other chronic pain conditions. There is no satisfactory animal model for fibromyalgia. Rheumatology Advisor: What is the most widely accepted hypothesis about the pathophysiology of fibromyalgia? Is it sufficiently explanatory? Dr Littlejohn: Most researchers accept that fibromyalgia is caused by increased sensitivity within the pain-related nervous system. The majority of clinicians — myself included — believe that the condition is “top-down” in that it is driven by a change in the modulating factors of the brain. However, there is a difference in interpretation as to what these factors are. Many remain cautious of psychological factors as “upstream factors,” suggesting that they are a response to the issues of chronic pain. I believe the key driver of the neurophysiologic processes that lead to the clinical phenotype of fibromyalgia — widespread pain, tenderness, sleep disturbance, fatigue, cognitive dysfunction, and emotional distress — is abnormal functioning of the stress response. This in turn is influenced by background genetic factors and variable psychological factors, including responses to everyday life events. These factors then drive the stress response and sensitization process in the brain and spinal cord. A minority of researchers feel that the sensitivity of the pain-related nervous system in fibromyalgia relates to peripheral neural stimulation priming the sensitization process. This is based on traditional neurophysiologic research, particularly in animals, in which peripheral stimulation initiates the pain response. I believe more researchers feel that the brain and spinal cord have the main role in modulating peripheral sensory inputs, and when the spinal cord neurons are sensitized by change in brain modulation, various otherwise non-painful stimuli can gain access to the pain-related nervous system and cause fibromyalgia pain. The mechanisms behind these effects have yet to be fully identified. Rheumatology Advisor: What is the evidence for neurogenic inflammation as the primary driver of fibromyalgia? Dr Littlejohn: Neurogenic inflammation is a consequence of the central sensitization that characterises fibromyalgia. I don’t think that it is a primary driver of the sensitization. I think it contributes to many of the characteristic features of fibromyalgia, such as abnormal tenderness, soft-tissue pain, peripheral swelling, dermatographia, and numbness and tingling. Neurogenic inflammation likely also contributes to some of the central features, such as cognitive dysfunction, fatigue, and possibly sleep disturbance, but these matters require further research. It is also involved in the pathophysiology of other conditions seen in up to one-third of patients with fibromyalgia, such as migraine, irritable bowel and bladder syndromes, and restless leg syndrome. Thus, neurogenic inflammation is likely linked to many of the peripheral features and possibly many of the central features that characterize fibromyalgia. It is driven by other factors, particularly those related to activation of the stress response. Further research is required to clarify these associations. Rheumatology Advisor: What are the clinical implications of the hypothesis that neurogenic inflammation is a key mechanism in fibromyalgia? Dr Littlejohn: Neurogenic inflammation is a key mechanism that contributes to many clinical features of fibromyalgia. Thus, if this process could be down regulated, many symptoms that currently have a high impact and are difficult to treat could be improved. For instance, there has been recent approval of a monoclonal antibody to the proinflammatory calcitonin gene-related peptide for use in migraine, a condition also characterized by neuroinflammation. Other targeted therapies for components of neuroinflammation may help symptoms of fibromyalgia. However, targeting neuroinflammation should begin at the top with attention to factors driving the stress response. Chiu IM, von Hehn CA, Woolf CJ. Neurogenic inflammation – the peripheral nervous system’s role in host defense and immunopathology. Nat Neurosci. 2012;15:1063-1067. Littlejohn G, Guymer E. Neurogenic inflammation in fibromyalgia. Semin Immunopathol. 2018;40:291-300.